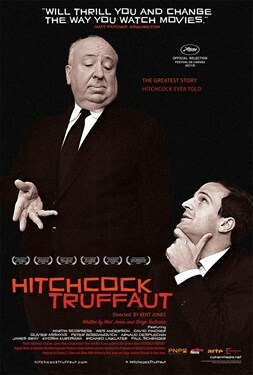 In 1962 Hitchcock and Truffaut locked themselves away in Hollywood for a week to excavate the secrets behind the mise-en-scène in cinema. Based on the original recordings of this meeting-used to produce the mythical book Hitchcock/Truffaut-this film illustrates the greatest cinema lesson of all time and pulls viewers into the world of the creator of "Psycho," "The Birds," and "Vertigo." Hitchcock's incredibly modern art is elucidated and explained by today's leading filmmakers: Martin Scorsese, David Fincher, Arnaud Desplechin, Kiyoshi Kurosawa, Wes Anderson, James Gray, Olivier Assayas, Richard Linklater, Peter Bogdanovich and Paul Schrader.